A éviter ... Hôtel limite insalubre avec SDB sans eau. 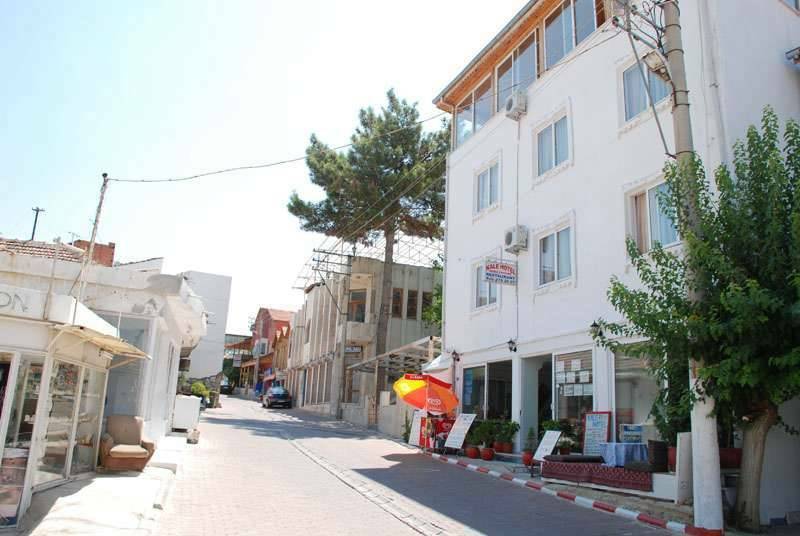 Kale Hotel is a family run guesthouse, it is a fine example of a 'home away from home', located in the pleasant village of Pamukkale with a 2 minute walk to the White Terraces (travertines). 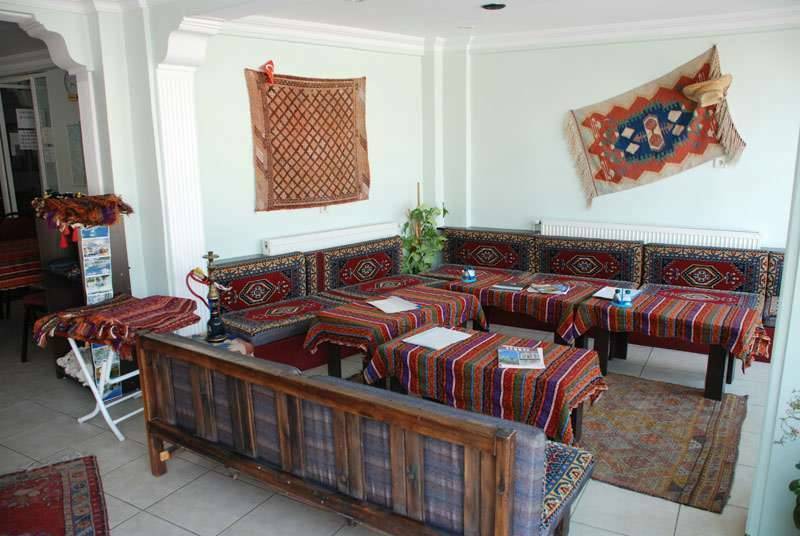 You can relax in our cheerful, clean and comfortable rooms, or take a rest in our Ottoman Corner, perfect for relaxing after a long trip. Here you can read, chat with other backpackers, and exchange your travel experiences. Our rooms, some with balconies with views of the travertines, are tastefully decorated. Or, if you prefer, enjoy a day relaxing on our rooftop terrace with its breathtaking panoramic views, or just take a dip in our private swimming pool. Afterwards, enjoy a meal in our restaurant that has a large choice of traditional home-cooked meals, or Japanese and Korean specialities. Internet access is available in the lobby, or there is wi-fi throughout the hotel. And if you need any assistance, our super-friendly staff will be there to help. 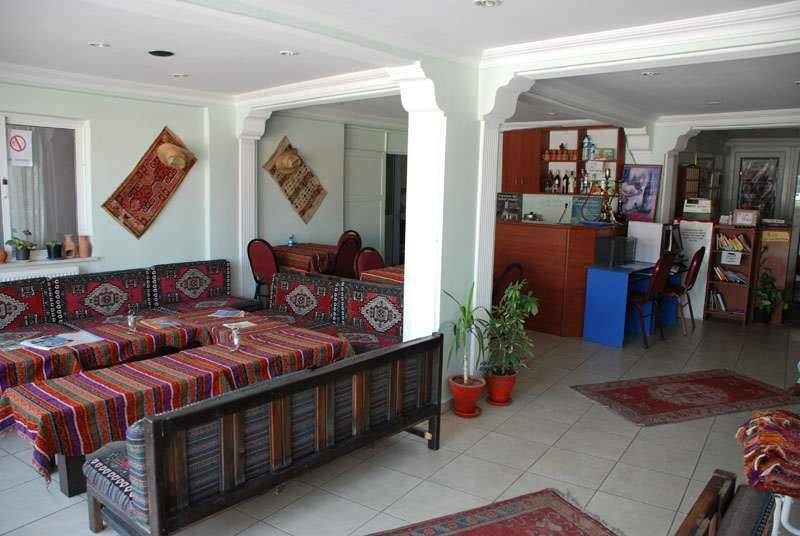 Our amenities include air conditioning and heating, restaurant, swimming pool, satellite TV, laundry service, wi-fi and internet, book exchange, multilingual staff, bus and tour information. Single rooms have one bed and are suitable for one person. Double rooms have either one double bed (suitable for a couple) or two single beds, for two people. Triple rooms have three single beds, or one double and a single. Dorm rooms have four or five beds each and are bookable by bed. Pamukkale village ia a quiet area located below the famous travertines. 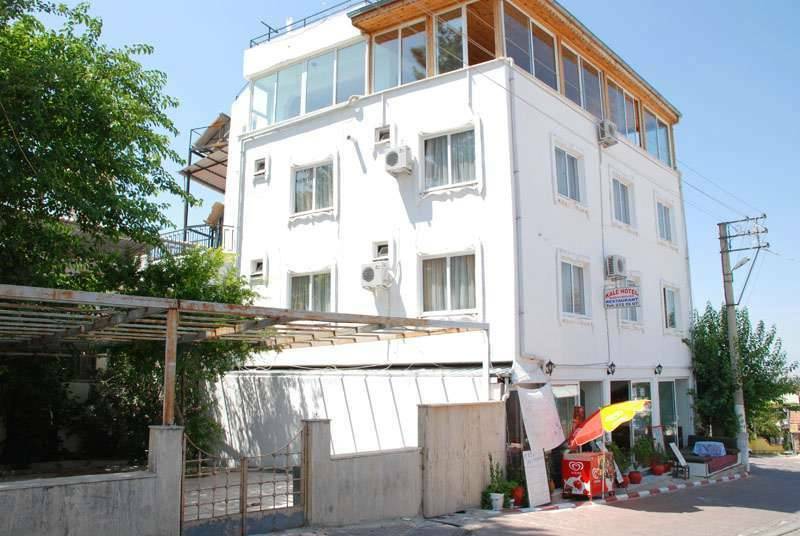 Just next door are all the bus company offices, cheap restaurants, shops, and internet cafes. Dorm beds fron 6 Euro. 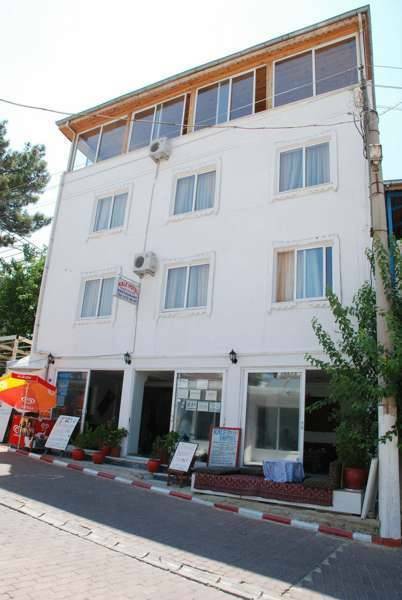 Kale Hotel is located in the centre of Pamukkale village, next door to all the resaurants, bus companies and internet cafes. 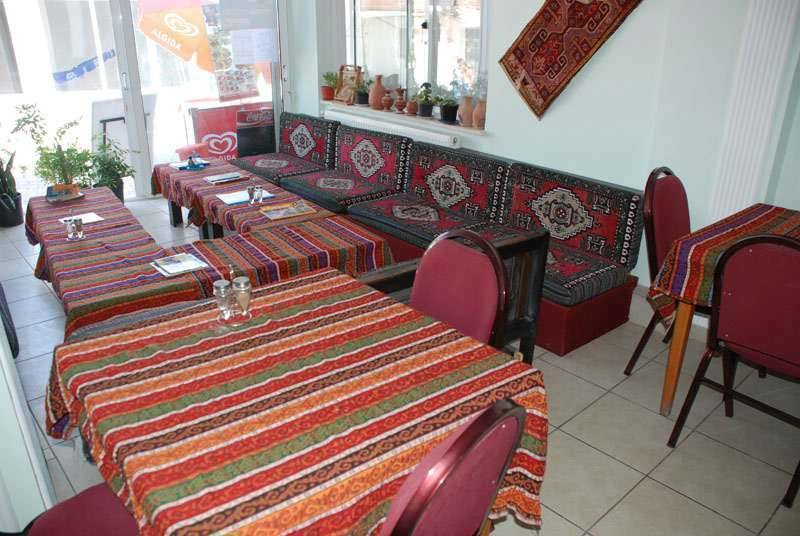 Take the express bus to Denizli, then the local bus to Pamukkale village (about 20 mins). Walk up the main street (Ataturk Bul.) and we are on the right.